To my surprise, I really got sucked into this, and put in quite a few hours. 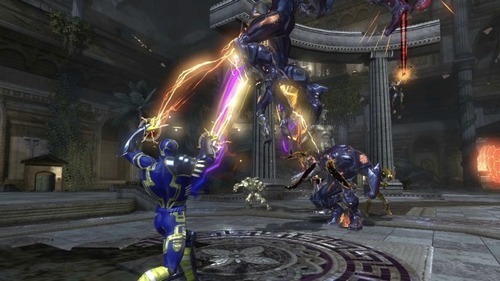 I remember trying it out when it first came out on PS3, and I wasn’t particularly impressed, but this time I was quite wowed by the visuals – this game looks VERY crisp, especially for an MMO – and ended up really getting into fighting bad guys in Gotham City (my mentor in the game is Batman, so I assume you start out in different areas/cities depending on who your hero/villain mentor is), teaming up with DC heroes, and levelling up to get fun new powers. It’s free-to-play, so you’ve got nothing to lose by trying it out.